Figures were released in late July from a one-day ‘truck safety showdown’ between US and Canadian safety inspectors. The results showed that Canadian inspectors found fewer problems than their US counterparts. According to the survey results released July 22 by the Commercial Vehicle Safety Alliance (CVSA), over 6300 trucks and buses were inspected on May 6 in 32 Canadian provinces and US states. Nine percent of all trucks and buses inspected were put out of service for brakes that were out of adjustment. However, in Canada, the rate for brake problems was only 4%, while in the US it was 11%. Overall, 7.7% of trucks were put out of service for brake problems: cracked and missing parts, air leaks, damaged brake hosing, drums and rotors. However, the OOS rate for Canadian vehicles was only 7%, while it was 8% in the US. Also, 14.2% of all trucks were put out of service for any type of brake violation, compared to 15.2% last year. Canada trumped the US once again, with 10.3%, while the US was much higher at 15.9%. During the one-day event, more than 50,000 wheel ends were checked in Canada and the US. Brakes with manual adjusters were 2.5 times more likely to need adjustment than brakes that have self-adjusting brakes. CVSA is going to do another similar event in the US and Canada from Sept. 6-12 called Brake Safety Week. As a Virginia trucking injury lawyer, I know all too well of the devastation that tractor trailer accidents can have on innocent people. 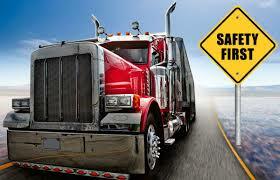 The highest obligation that all trucking companies and drivers have is not to profits, but public safety. Even with properly functioning brakes, big rigs take a long time to come to a full stop. It is incredibly important that all trucks have brakes that are working well, or tragedy can result. I hope that the US and Canada continue to hold these types of trucking safety events. Such efforts probably will save lives.